Is that human blood, zombie blood, or animal blood? You will never know. The Bloody Apron looks like it could have belonged to a butcher before the zombie outbreak. But now, it looks like it could belong to a flesh-eating zombie. This impressive garment is a great, simple accessory that depicts a white gauze apron that is covered in crimson stains and splatters. The stains are a vivid red, making them look quite fresh, and the apron is without any large smears, making it look like the stains were placed by brief touches, rather than clawing or dragging motions. This apron is made from white gauze fabric and comes in one standard size, which fits up to a 42 inch chest, and is designed to reach the knees when worn. It attaches around the neck using a rope cord tie. Only the apron is included. The shirt and plastic prop weapon are sold separately. Maybe you are a survivor who just does not like getting zombie blood on your clothing. Maybe you are a zombie and you think you could benefit from wearing a disturbing and chilling garment like this. 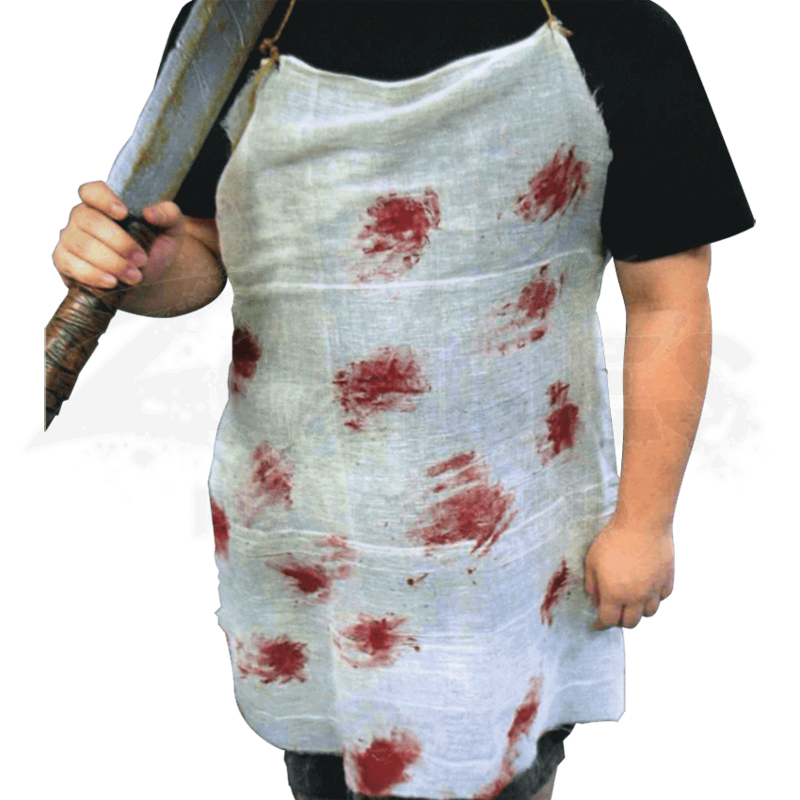 Either way, the Bloody Apron is a frightening accessory that can be added to a variety of costumes and looks without any trouble whatsoever.